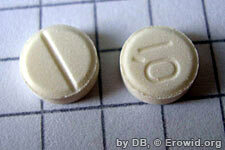 Lorazepam (ativan) is a benzodiazepine used in the treatment of anxiety disorders. It is similar to valium, but is taken at much lower doses. It is also prescribed off-label to reduce nausea associated with chemotherapy.